Backpacks are the ultimate accessory for busy women especially if you need to carry a laptop around with you. There is no reason why you should sacrifice function and comfort for style by using sling bags, hand-held laptop bags, briefcases, or tote bags if you want to look stylish while navigating the city. There’s a myriad of good-looking backpacks out there that make urban day trips look just as chic while keeping your hands free for errands or commuting. But we all know the discomfort that comes with traveling with a heavy load. Wearing bags on just one side of the body has been known to cause muscle imbalances especially in the spine and shoulders. What’s worse is that these imbalances can travel all the way down the body, resulting in changes in gait, which is the way your body walks. Prolonged use of bags on either side of the body can also damage your nerves. Unfortunately, far too many women prioritize aesthetics over functionality. Let’s not even get started on the pain involved in carrying a bag containing your laptop, plus so many other valuables that you need on a daily basis. Women also have specific needs when it comes to backpacks; this is why choosing one that is built for women is so crucial because a unisex or men’s backpack can be ill-fitting particularly for heavy loads. Say no more: The North Face Women’s Surge Backpack is a winner in the world of urban daypacks for women. Jetting around to and from work, school, or your errands has never been more comfortable thanks to this ingenious bag. Sure, it looks great: the bag is built with a chic form neutral enough to accommodate your personal style. But what truly makes The North Face Women’s Surge Backpack special is its comfort. And while every bag manufacturer will tell you that what they make is comfortable, not many brands have actually been vetted by the American Chiropractic Association (ACA). The North Face Women’s Surge Backpack is one of the brand’s many styles that are endorsed by the ACA because of its anatomically appropriate fit, which effectively helps reduce lower back strain. Features such as back panels, shoulder straps, and waist belts all assist in evenly distributing the load to reduce burden or strain anywhere else in your body. Having said that, The North Face Women’s Surge Backpack lets you transport up to 27 liters comfortably. It’s made with ultra durable ballistic nylon, and its thick-skinned nature means that it can take abuse. Lots of it. So even if you decide to use this backpack for a day trip out in the mountains, this heavy-duty model can resist wear and tear for many years to come. The North Face has half a century’s worth of expertise in creating high-quality outdoor gear. Be it bags, jackets, apparel, or shoes, The North Face is a brand trusted by thousands of outdoor and travel enthusiasts around the globe. Whether you’re hiking up Everest, taking a cross-Atlantic backpacking trip, or just making the commute to your office, you can trust The North Face for their excellent products. Daypacks just don’t get any better than The North Face Women’s Surge Backpack. Frequent travelers will appreciate its TSA-friendly fleece-lined laptop compartment, which can fit most 15-inch laptops. The female-specific FlexVent suspension system is made with custom injection-molded shoulder straps. The ergonomic padded mesh back panel makes sure that edges of your bag’s contents, such as your laptop, books, notebooks, or ball pens, don’t touch your body. The wicking lumbar panel provides maximum ventilation and added support. The North Face Women’s Surge Backpack is one of the most popular women’s backpacks out there. It’s so easy to understand why: this backpack enables you to go places hassle-free, whether it’s commuting, in the city, or in the outdoors. Customers agree that The North Face Women’s Surge Backpack is indeed heaven-sent. World-class workmanship is evident in all the features of this bag, and it comes with thoughtful little extras that busy, tech-savvy women need. Based on online reviews, customers love many aspects of this bag. Some have written about how comfortable the straps are to wear, even if it’s carrying several heavy college textbooks, binders, and notebooks. A few customers were also surprised to find that their belongings were kept dry and safe even when exposed to some rain. That’s testament to the heavy-duty nature of The North Face Women’s Surge Backpack. It’s clear from the diverse backgrounds of the customers that use and love this bag that it’s a wonderful multi-purpose, versatile backpack. 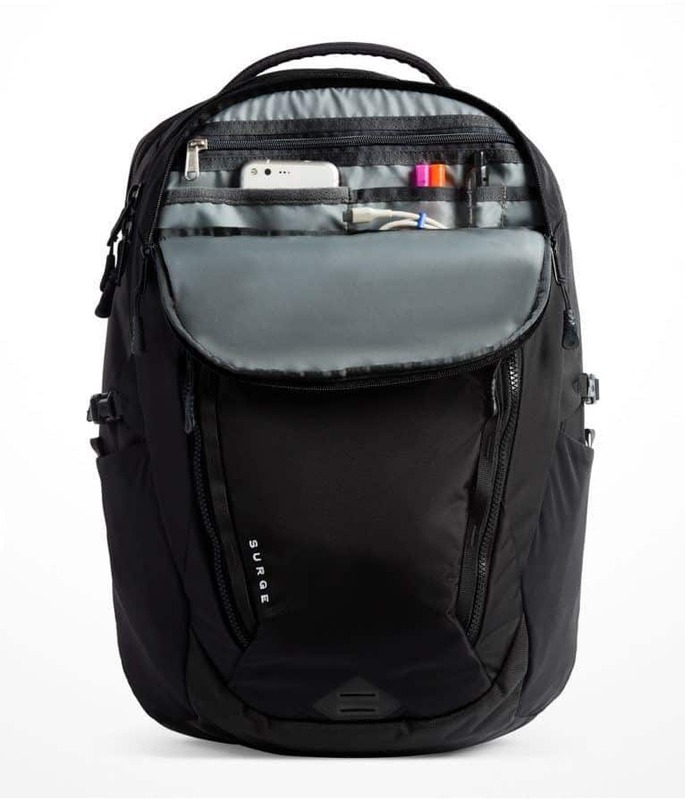 Travel, carry-on, commuting, school, work, the outdoors, you name it: this bag’s got a use for it. Many customers were also confident in buying this bag because of its brand. We don’t blame them! On the other hand, some customers were disappointed with the sheer weight of the empty bag. That’s because this bag is padded in most of its interior pockets for your protection. Others were not happy with the fact that this bag can’t fit laptops that are 16 inches or more. 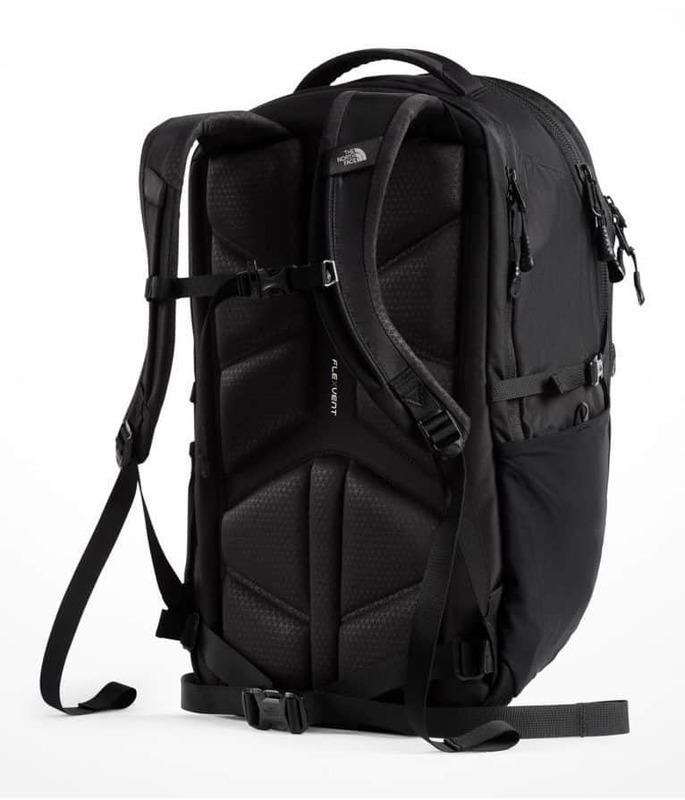 However, considering the number of customer reviews sing praises for this backpack, many of them referring to it as “perfect”, the fact that it weighs quite a bit or that it doesn’t fit laptops on the larger end of the spectrum shouldn’t be a deal breaker especially if you value comfort and functionality. 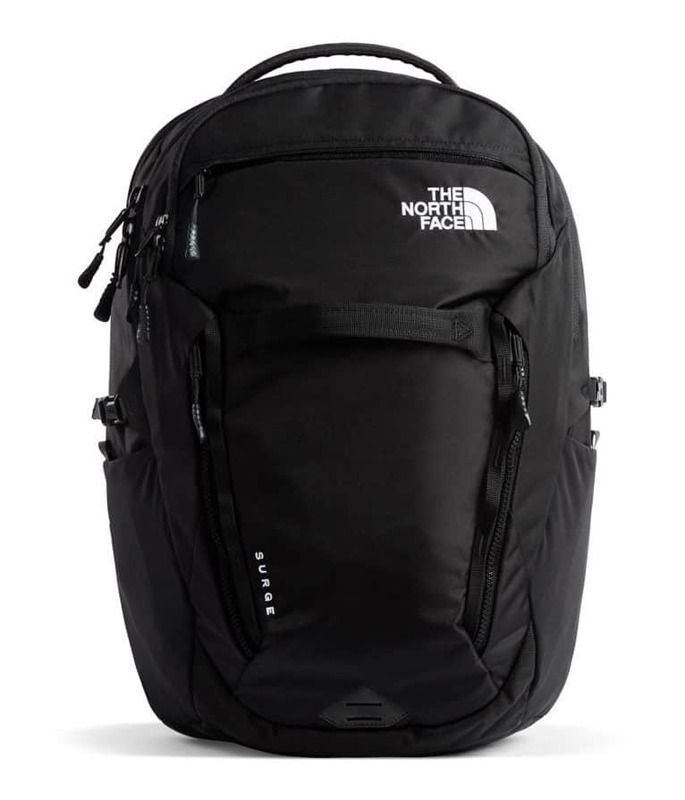 The North Face Women’s Surge Backpack can conveniently be shipped to your doorstep if you shop online. Lazada Singapore currently has some good deals on backpacks, so you may want to check it out. Delivery on Lazada Singapore is also affordable. You won’t regret experiencing the life-changing attributes of The North Face Women’s Surge Backpack. In the long run, it’s a backpack that will save your health. This bag doesn’t promise anything aside from comfort, but it has exceeded expectations.